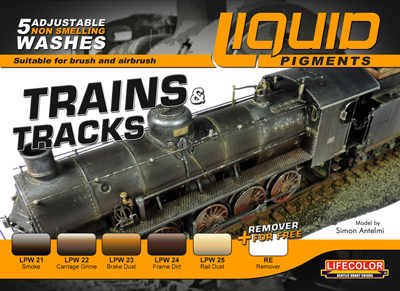 The set for railway modellers contains five suitable colours to emphasize and make dirty locomotives, freight and passenger wagons. 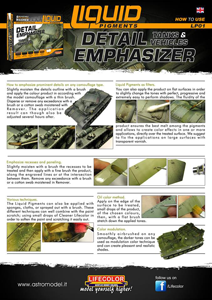 These tones are especially designed to highlight the wagon body and carriages. The smoke tone is mainly dedicated to steam trains, but it can also be used to emphasize or weather around the little details on trains of any era.